Are you looking forward to meeting the creative minds behind your favorite comics and books at ECCC? We’ve invited some amazing people for exclusive signings and book launches at our booth. Check out Kinokuniya’s guest appearance schedule at Emerald City Comic Con on Sunday, March 4th below! YA fantasy and sci-fi writer, Corinne Duyvis will be signing her books at our booth! 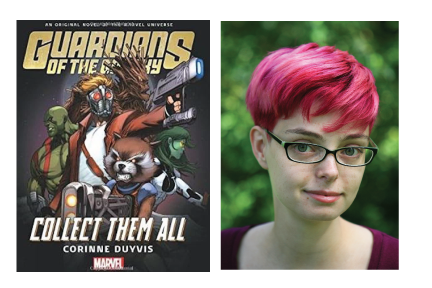 She recently authored the original novel set in the Marvel universe, Guardians of the Galaxy: Collect Them All, among acclaimed YA works (Otherbound, On the Edge of Gone). Get your books signed by YA author, CB Lee. She is the creators of the Sidekick Squad series that follows a group of queer teens as they take on a corrupt superhero agency!